The deal offers Wheelock’s students and some of its faculty and staff a new home at Boston University. Boston University will acquire Wheelock College in June 2018, the two Fenway-area schools announced Wednesday. The merger between Wheelock, a 130-year-old institution focused on teaching and social work that has struggled financially, and its much larger neighbor has been in the works for the past few months. The deal offers Wheelock’s students and some of its faculty and staff a new home at Boston University. Under the merger, BU’s School of Education will join with Wheelock’s School of Education, Child Life, and Family Studies. The school will be renamed as Boston University’s Wheelock College of Education & Human Development, with Wheelock’s current president, David Chard, serving as the interim dean of the program for at least two years after the merger. 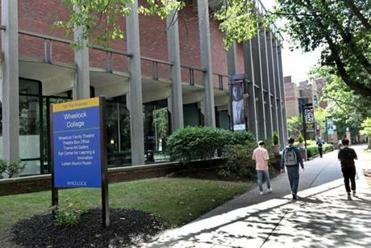 Wheelock, a college of 1,000 undergraduate and graduate students, has faced declining enrollment and increasing expenses that have outpaced revenue. Under the agreement, all assets and liabilities of Wheelock College will be transferred to Boston University on June 1, 2018. Financially struggling Wheelock is in discussions about a merger with Boston University, Wheelock’s president informed his school on Tuesday. While difficult to pull off, mergers are becoming an increasingly common option nationwide for smaller institutions with limited resources. Bringing Wheelock’s expertise to BU will create a more robust education training program, Robert Brown, BU’s president, wrote in a letter to the university community. “The combination of the programs of the two schools and the additional resources we plan to deploy gives Boston University the opportunity to commit with renewed energy to our long-standing efforts to promote quality early childhood and K–12 education,” Brown said. Brown noted that Wheelock’s close proximity to BU made it an attractive partner. For the immediate future, BU plans to use Wheelock’s campus for academic programs. But Wheelock, which owns more than 5 acres along the Riverway in the Fenway neighborhood, sits on lucrative land, real estate experts have said. Nearby, the developer Samuels & Associates has been remaking what was a collection of squat buildings and parking lots on Boylston Street into a trendy neighborhood of high-priced, high-rise condominiums, bustling restaurants, and storefronts. Behind Wheelock is the Longwood Medical Area, home to several hospitals. And Boston University has in the past been an active buyer and seller of property around its campus. The merger calls for current Wheelock College students to shift into BU programs and pay the same tuition costs they would have paid to attend Wheelock. Beginning in 2018, however, all admissions of new students will be through Boston University, using its standards and processes. The schools have agreed on a process for determining the titles and responsibilities of tenured Wheelock faculty when they transfer to Boston University. Every tenured member of the Wheelock faculty will go through a review process after which they will receive either a tenured position at BU or a contractually guaranteed tenure-like post, according to a BU spokeswoman. BU intends to offer other Wheelock staff appropriate positions when practical, but layoffs are also a possibility, she said. On Wednesday, Brown suggested that there might be challenges ahead of the merger. 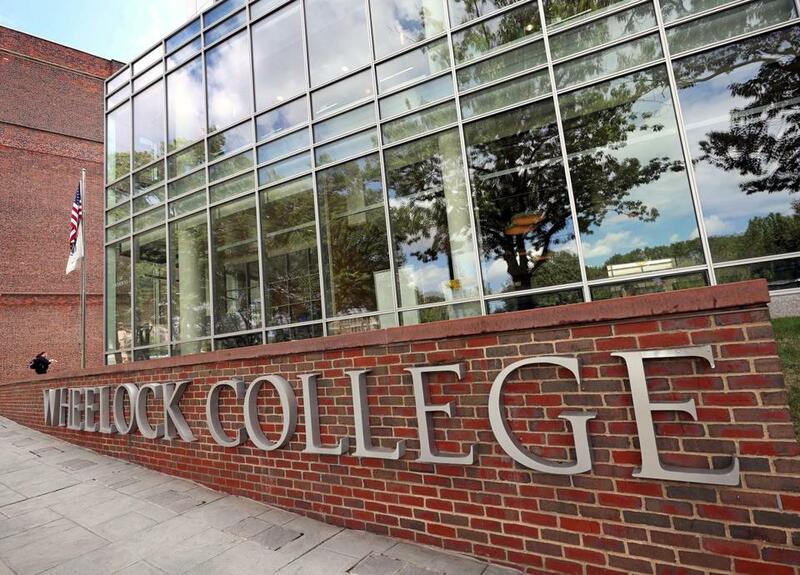 CLARIFICATION: This story has been updated to remove a reference to Wheelock College’s endownment. An earlier version described the endowment as “shrinking,” based on publicly available information from 2016. In 2017, however, the endowment grew from $50 million to about $55 million, according to a college spokeswoman.